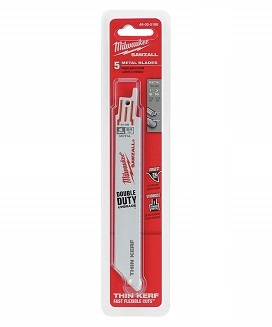 PRODUCT: Milwaukee # 48-00-5186, 6" long X 3/4" wide Sawzall Bi-Metal Blades, 24 TPI. Thin metal cutting blade. 5/Pack. Price/Pack.